One of Lakewood’s most widely known assets is something that nearly everybody can appreciate: good food and drink. Open just days ago, the newest addition to the growing food and drink scene in Lakewood, Yuzu, is a Japanese “Izakaya” inspired cocktail bar that looks to be different than anything else available on the market. 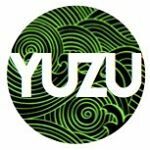 And on Tuesday, May 24th at 6:30pm, Yuzu founder, Dave Bumba, will open up the doors for Startup Lakewood to not only experience Yuzu, but also hear its startup story. Join Startup Lakewood for this unique opportunity to tour and experience Lakewood’s newest gastropub, as well as hear the story for how it came to be. This Startup Lakewood event includes the Yuzu story, Q&A, and the chance for you to be one of the first to experience Yuzu! We’ll provide a few apps — and a cash bar is available.